DADAA has three vibrant creative hubs: in Fremantle, Midland and Lancelin. Developed through strong partnerships with Local Governments and communities, these vibrant centres consist of studio, exhibition and social spaces, where participants can attend group workshops, meet with mentors, talk to staff and mingle in a warm and friendly environment. From these hubs, DADAA connects you, as an artist, with community and professional arts experiences through a range of partnerships that we have with festivals, conferences, galleries, theatre and events. Our creative hubs are developed as places of inclusion, accessible by the whole community. 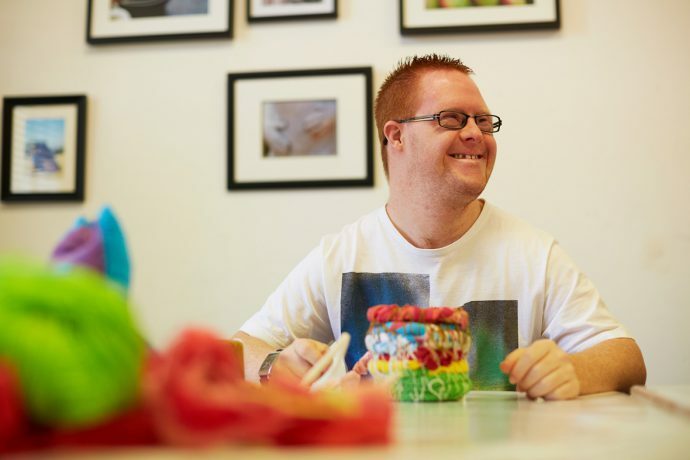 Bold new programming, national and international artist exchanges and artists-in-residence programs, our centres are also knowledge hubs underpinned by disability-led principles and practice.